DFRobot FireBeetle series are low power consumption controllers designed for Internet of Things (IoT) development. This Bluetooth controller combines Bluetooth Low Energy 4.1 with Arduino controller, offering functions similar to the former Bluno series but with lower power consumption. It also supports multiple Bluetooth cascade, KISS connection(approach connection) and compatible with Bluno series. Its connection can be realized by holding host BOOT and moving to the target peripheral device. LINK: a Bluetooth connect indicator; when Bluetooth connect to the device successfully, LINK will light for 3s and blink for every 3s, light OFF when disconnected. 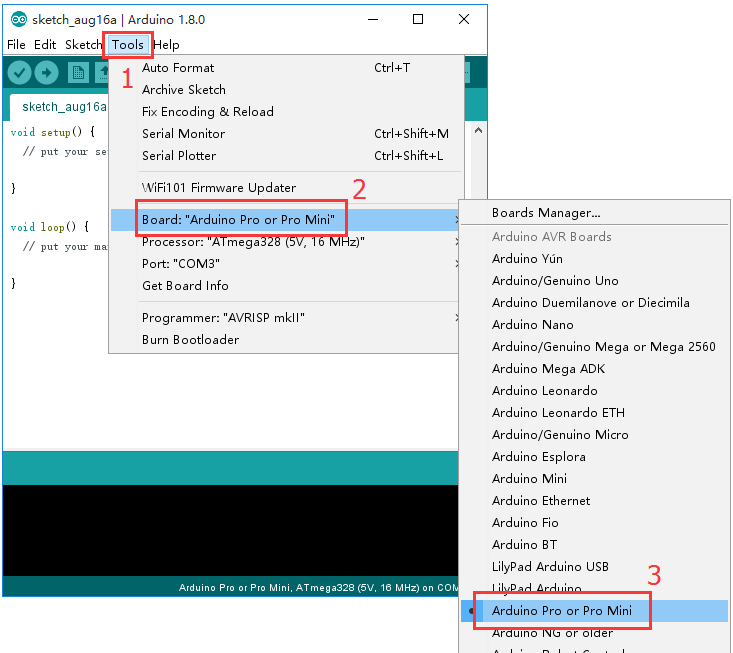 BOOT: Bluetooth firmware update; enable KISS connection (approach connection). Firmware update: please press and hold BOOT button and power-up (plug in USB), turning to the firmware update mode. For any enquiries, please refers to the part: Firmware Update. Approach connection: please hold the central BOOT button when it is in the working mode, approaching the peripheral Bluetooth device and connect. Considering low power consumption, we select Arduino Pro Mini @3.3V 8MHz as Bootloader for FireBeetle BLE4.1 microcontrollers. SPECIAL NOTE: Pro Mini uses 8MHz OCXO. Its processing speed is relatively slow for 115200-baud rate. The high baud rate may lead to unreadable code and packet loss etc. 9600-baud rate is recommended. BLE 4.1 switch to low power consumption mode with AT command: AT+LOWPOWER=ON. The Bluetooth can still broadcast and connect in the low power mode. When the Bluetooth received data, it will awake automatically and send an interrupt signal to the chip: 328p. The interrupt pin here should be connected to D2 of 328p which is interrupt 0 in the code. 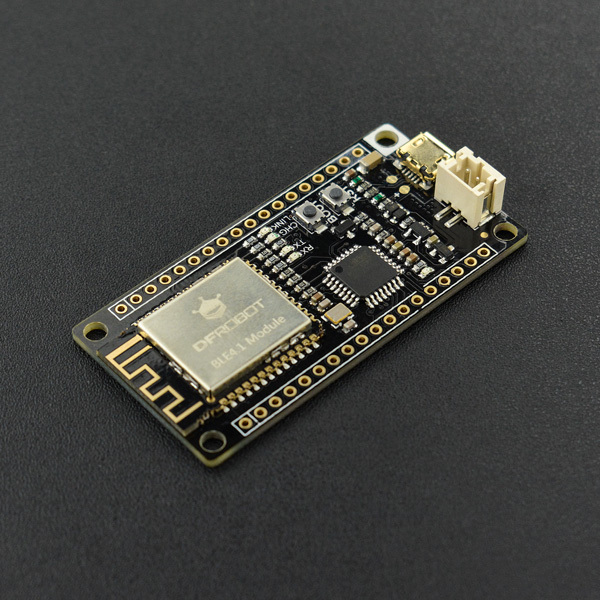 In the low-power mode, the whole power consumption of the FireBeetle Board-328P with BLE4.1 board is about 70uA. Turn off the interrupt and other peripherals, the whole power consumption of the FireBeetle Board-328P with BLE4.1 board is about 25uA. 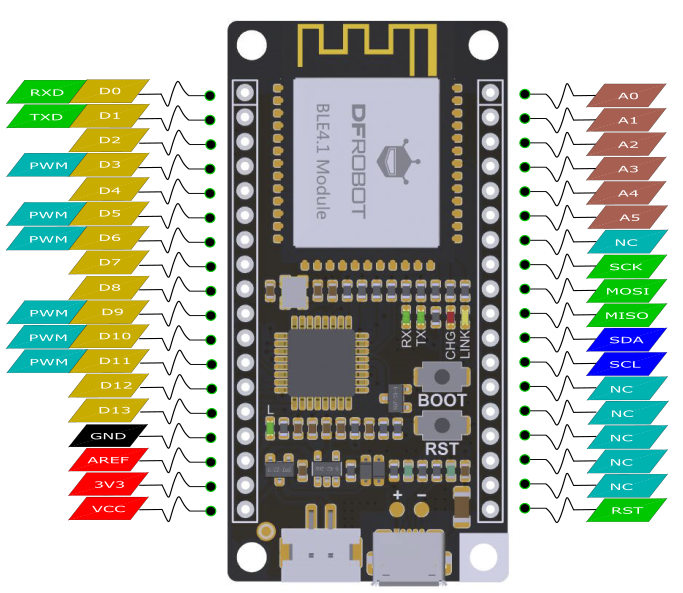 Get FireBeetle Board-328P with BLE4.1_SKU_DFR0492 from DFRobot Store or DFRobot Distributor.